Random House, NY, 1968. Cloth. 4to - over 9¾" - 12" tall. Dust jacket. Introduction by Margaret Mead. 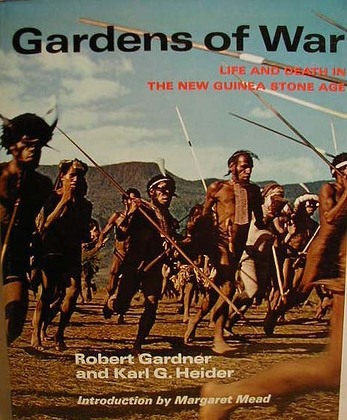 A photographic record of a Stone Age tribe of neolithic warrior farmers who live in the Grand Valley of Beliem in the Central Highlands of western New Guinea.